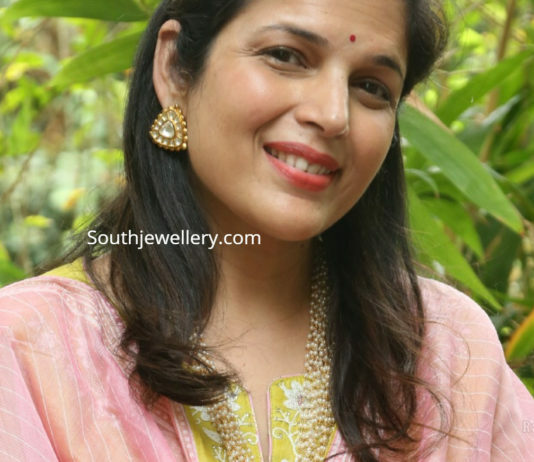 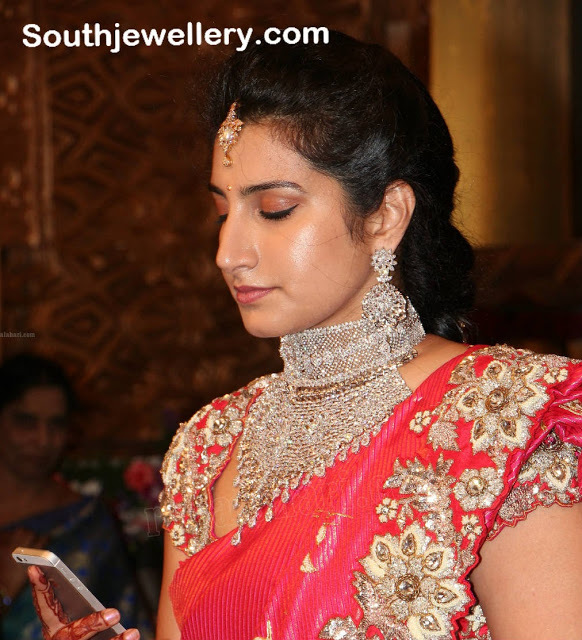 Mallika Reddy in an emerald pearl polki necklace paired with matching earrings and maang tikka. 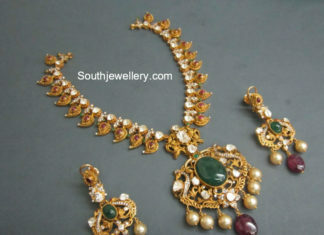 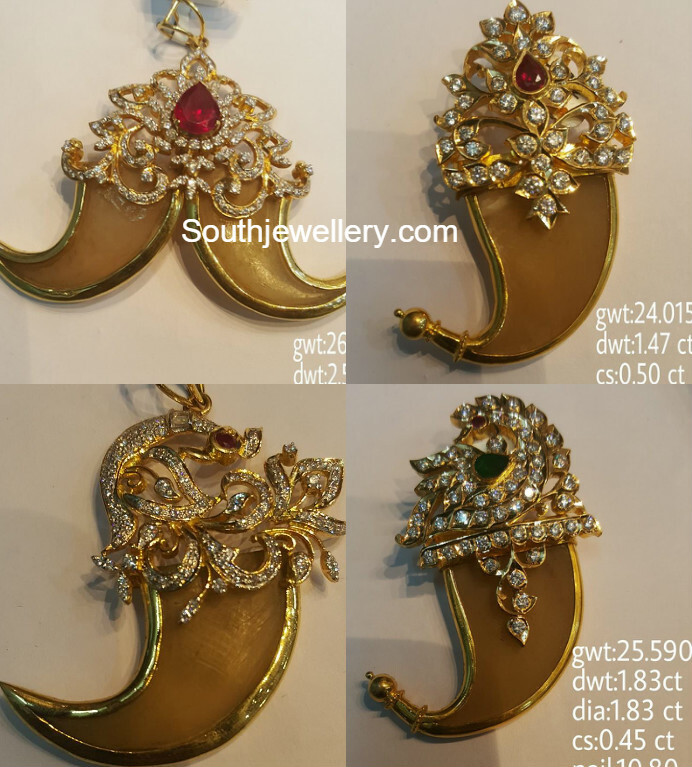 22 carat gold heavy guttapusalu haram adorned with rubies, emeralds, polki diamonds and pearls. 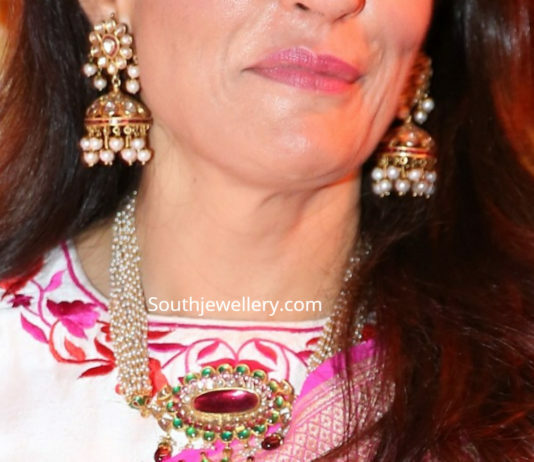 Kajol in two step polki diamond and emerald necklace by Joyalukkas. 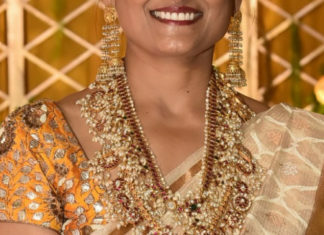 Kajol in antique gold chandbalis adorned with polki diamonds, emerald beads and pearls by Joyalukkas. 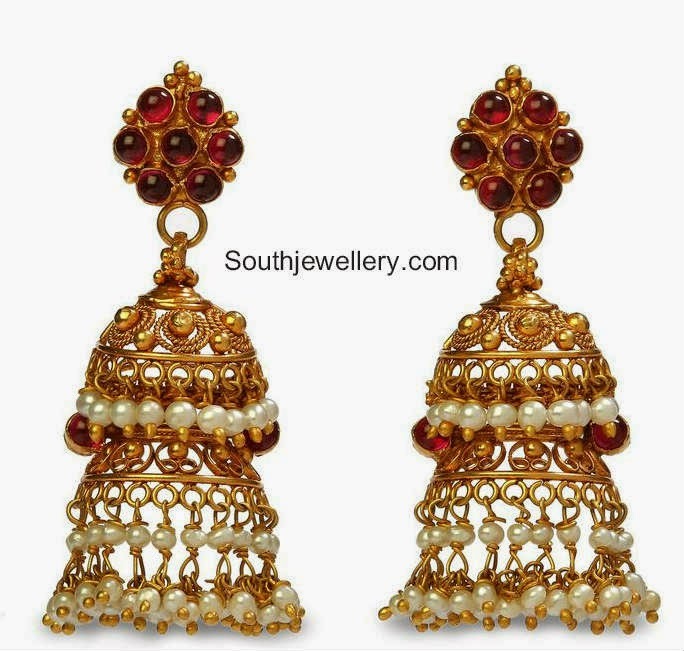 Shilpa Shetty in an antique gold Lakshmi haram paired with matching jhumkas and kadas. 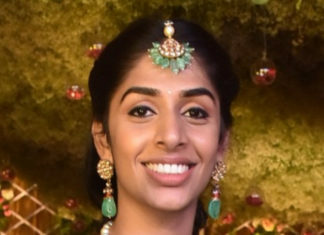 22 Carat gold antique finish polki diamond mango mala with peacock pendant paired with matching earrings by VJ Jewellery Vision.